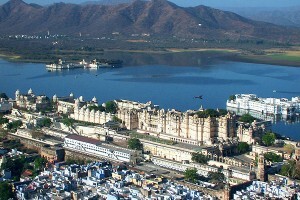 But we planned our trip to cover only the main attractions of Udaipur. 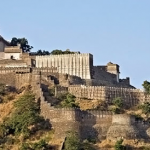 We hired a car at affordable fare and left for our destination- Udaipur. 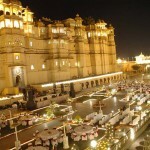 The moment we stepped in this romantic city, the saga of royalty seemed like echoing in our ears. As far as you could see, all you could experience was the royalty, scattered in the form of fascinating forts, ancient monuments and blue lakes. After making ourselves comfortable in a good hotel in Udaipur, where we relished awesome food with Rajasthani flavour, we left for the amazing City Palace. A fine amalgamation of European, Medieval and Chinese architecture, this marvellous structure looks spectacular with its various domes, towers and arches. Built in white granite and marble, this magnificent palace has several gates to enter. Known as “Pols”, these gates give way to enter the palace. Bara Pol and Hathi Pol are the major ones. How could we miss a visit to the famous Jagdish Temple that lies in the premises of City Palace complex? A fine example of an Indo-Aryan style, this impressive temple in Udaipur has Lord Vishnu as its main deity. 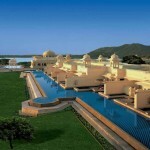 The architecture and the sculptures with carved images are simply a sight to behold. Bagore Ki Haveli became next part of our exploration. This ancient structure lies on the platform of Gangori Ghat in the adjacency of Pichola Lake. With its marvellous architecture, the mansion kept us engaged where we were trying to find out the secret of simply awesome carved work and remarkable glass work. 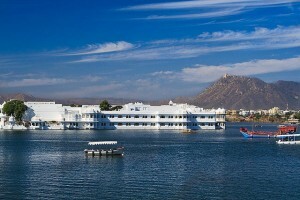 Fateh Sagar lake was the next attraction, we explored on our visit to Udaipur. The second artificial lake of Udaipur, Fateh Sagar unfolds its charm that lies in its vast stretch and the embellishment of three small islands. We continued our exploration with Saheliyon ki Bari or the “Gardens of the Maids” that lies on the shore of this gorgeous lake. We took some time to ramble around the garden where we could enjoy a soothing aura, created by five fountains, water pools, exquisitely carved pavilions and ornamented elephants. The tour concluded and we were back with a memorable experience.